Quilt Master patterns have the quilt divided into blocks as this makes them much easier to sew. 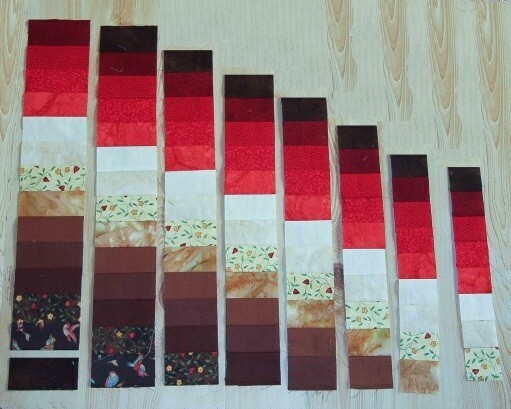 If the pattern you are using has not been divided up that way, then we suggest you get out a ruler and divide it up yourself into Bargello blocks. The benefits are huge. 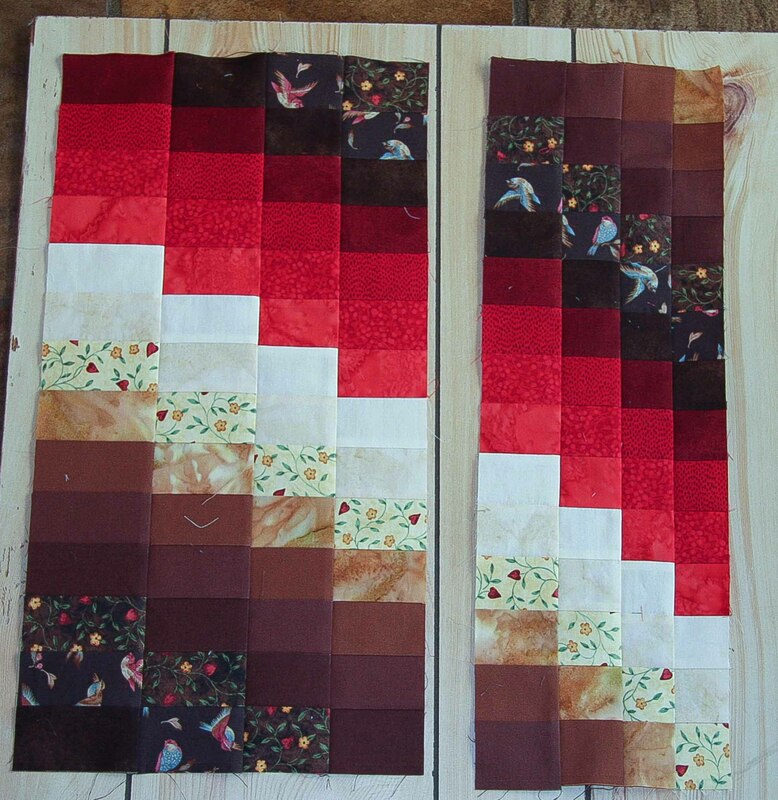 Lay all the pieces of the Bargello block out. 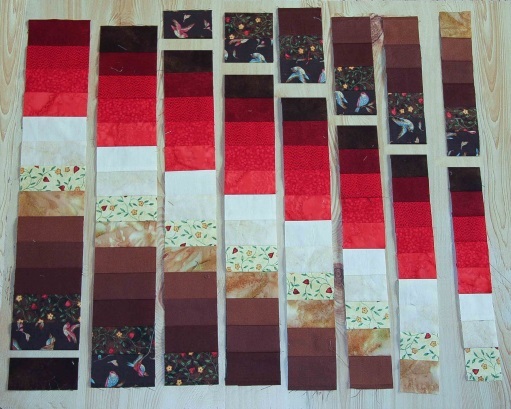 It is much easier to do this if you lay out the diagonally matching pieces first. You will select strip set columns and parts of columns from your piles of same width-strip set columns produced in the previous step. It is very important to keep those piles neat and tidy so you will be able to find the strips you need later in the process. Run your fingers along each piece of each column to double check that the seams all go in the same direction for that column. Also check that the pressing direction matches that given at the top of each column in the diagram. This simple step can save a great deal of grief! Finally double check the width of each column. 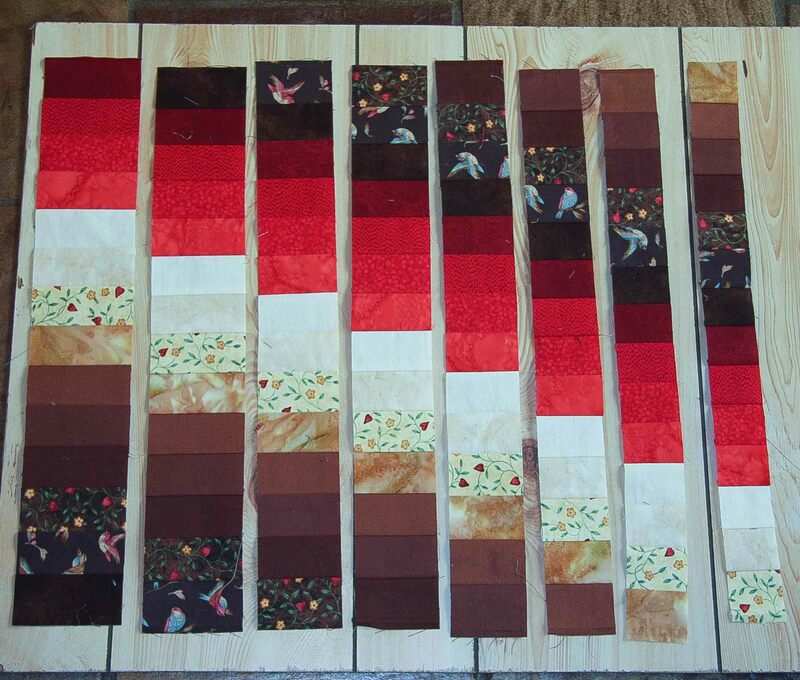 Sew the pieces together to make each column complete. Press each small seam—in the same direction as the rest of the seams for that column—after you sew it and lay the strips out in position again. Keeping the layout clear will save many an unpicking! A small iron and pressing mat next to your sewing machine will help with this part of the block sewing. When you are sewing two columns together, you need to ensure that you line up the seams of each column with the one next to it. This is made simpler by the fact that each column has its seams pressed in the opposite direction to the one next to it. The seams ‘lock’ and can be felt to be aligned by your fingers. Use your fingers or an awl to hold them as you sew. Sew the columns together in pairs, then in fours etc. Note that it is essential that you press each seam before doing the next ‘round’ of seams. The direction in which to press the vertical seams is given in the text above the table. 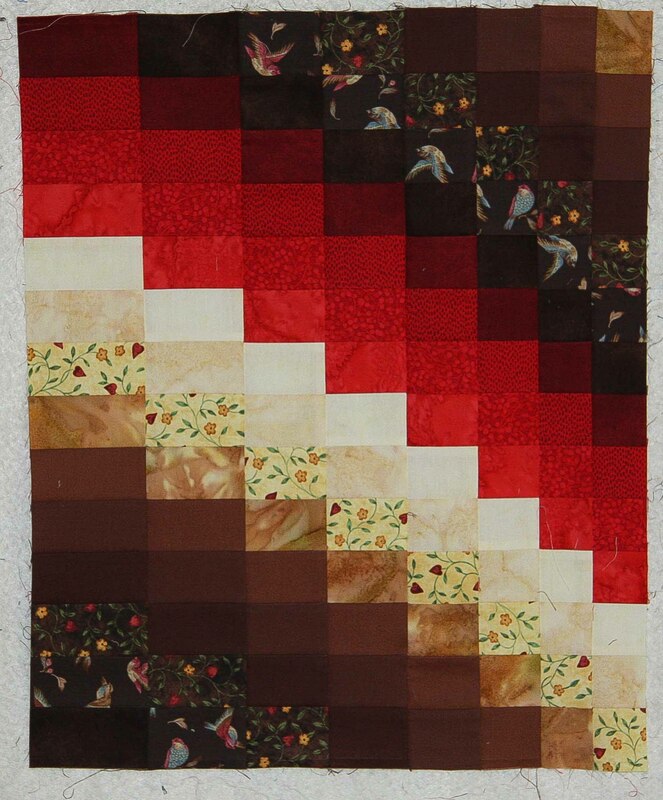 Once again keep laying the Bargello block out in its correct order; this will make it far less likely to accidentally sew things together incorrectly.